Starbucks, why you wanna do me this way? Over the summer I searched high and low for the insulated cold drink tumbler until I finally found it online. I loved it. Now it’s the holiday season and you’ve come out with a tumbler with an adorable red and white candy cane swirl. 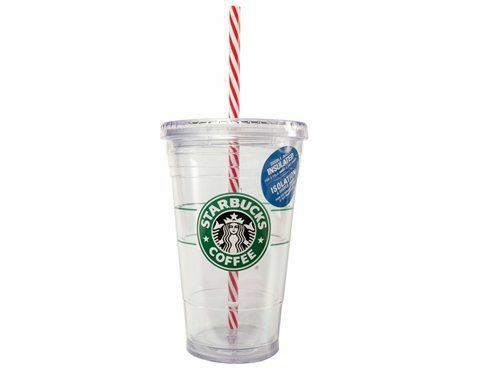 Now, there’s no point in me spending $16 for an identical tumbler just for the straw. So can I get the straw seperate? NO. Unfair, Starbucks. Unfair. You have ruined my relationship with my boring green straw because as hard as it tries it will never be red, white and jaunty. My green straw melted in the dishwasher when it fell to the bottom so now I have no straw. I bought my sister one of the tumblers with the red/white straws for Christmas and now I want to steal her straw. But I can’t very well give her a tumbler without a straw! But I don’t NEED 10 straws. Gah! That is adorable! I had a really cute blue cup with a green and blue swirled straw. I left it at work one weekend (forgot about it!) Came back and there was mold growing in it! Bleached, scrubbed it, dishwashered it 3 times and it was still there. So i had to chuck it. PS where do I enter in the password? When a post needs a password there will be a box on that post for you to type in the password.